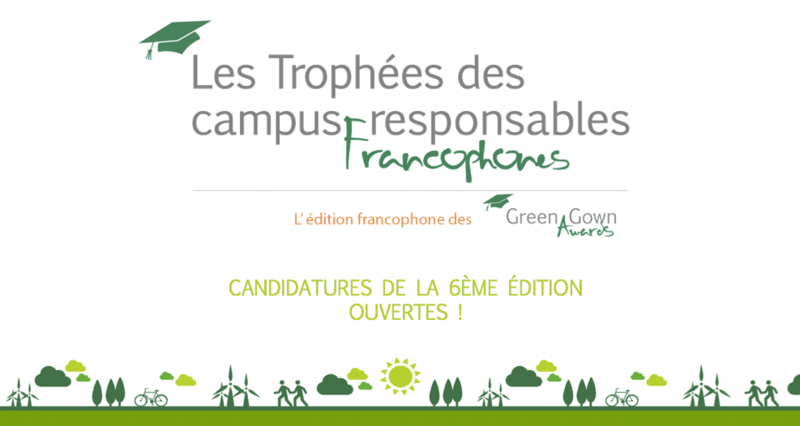 La 6ème édition des Trophées des campus responsables est ouverte! 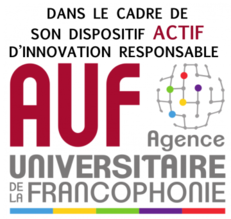 Afin de faciliter les procédures d'inscription, nous avons optimisé le dossier de candidature pour vous proposer un format encore plus simple et adapté, articulé autour des critères de notation de notre jury. Téléchargez le dossier de candidature! The 6th edition of the Responsible Campus Awards is open! The 6th edition of the Responsible Campus Awards opened for applications on Monday, April 8th! Applications will remain open until November. All information regarding the 6th edition of the Responsible Campus Awards is online. Download the application file by clicking here. New Category: Training for a Sustainable Society: This category recognises the integration of sustainable development in the training of students, whether through specific courses, innovative teaching methods, integration into existing courses to strengthen their contribution to the ecological and societal transition etc. This can also take the form of commitments in territorial projects, awareness of the societal and environmental challenges of surrounding communities or learning new methods in relation to solving complex, multi-issue issues. The consistency of the approach with the overall positioning of the establishment will be particularly valued. It may concern continuing or initial training. In order to facilitate registration procedures, we have optimized the application file to offer you an even simpler and more adapted format. Download the application file.